This article is sponsored content brought to you by Advanced Anaesthesia Specialists. Colin Dunlop became interested in the systematic training of airline pilots in problem management and applications to veterinary anaesthesia in 1987 while working at Colorado State University, close to the United Airlines flight training centre in Denver. On July 19, 1989, Mark Gearhardt, a food animal resident, friend and colleague, was tragically killed following the crash landing of UA Flight 232 at Sioux City, Iowa, but there were 185 survivors. There was an engine explosion and catastrophic hydraulic control failure. There were no established procedures for such an event and subsequent simulator testing showed this to be a remarkable achievement. “We were too busy [to be scared]. You must maintain your composure in the airplane, or you will die…” said Captain Al Haynes. 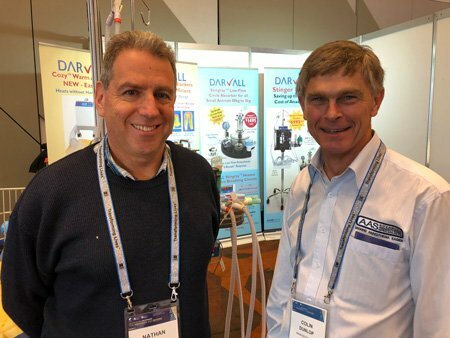 In 1996 Colin returned to Australia and founded Advanced Anaesthesia Specialists with the goal of developing systems and ‘smart’ devices that would improve outcomes and lower mortality in veterinary anaesthesia. Colin teaches systematic problem recognition and management and uses Flight 232 as one example of how teamwork and communication can deliver an exceptional outcome. In the audience at the 2009 AVA Convention in Darwin was Nathan Koch, veterinarian and airline pilot, with a unique insight into problem management and the way human factors affect both veterinary surgery and flying. Like Colin, he believed that vets and nurses could implement this philosophy into their anaesthesia practice. After graduating as a vet, Nathan worked in a mixed practice but had a strong interest in flying so began lessons at a small local airfield. He spent years juggling veterinary work with his climb up the ranks of pilots. Today he flies for QANTAS and completed a Graduate Certificate of Aviation (Human Factor). Nathan Koch and Colin Dunlop began working together, teaching how to minimise the negative impact of the human factor in crisis management in anaesthesia through better decision making, teamwork, leadership and communication. This year’s presentations have included WikiVet Live in March (found on https://vetpracticemag.com.au/category/gear/product_guides/companion-animal/) and the opening address at the ASAVA Annual Conference in Melbourne.